Fanams, Rupees, dollars or what? “In 1819 the first European Settler […] came to the plateau and immediately set in motion a train of events that quickly and significantly transformed the indigenous economy into a monetized one” (Hockings 2013: 174, my emphasis). At the beginning of the 19th century, the plateau and its inhabitants – the Todas, Kotas, Kurumbas and Badagas – were “absolutely unknown to Europeans” (Rivers 1901: 1). However, soon after the first Europeans had settled on the plateau it were intense European place-making and investments as well as the timely consolidation of the colonizers’ control over money that “coined” the representation of the plateau’s “tribal” landscape and the rapid developments that ensued. 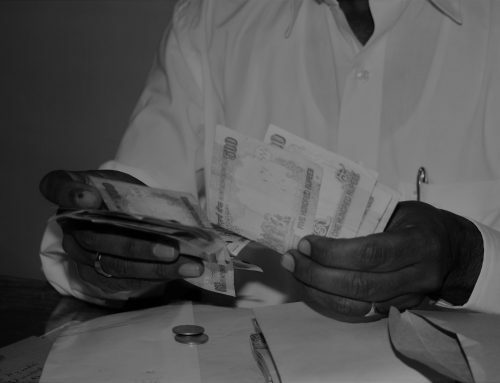 Yet – in spite of its relative isolation and contrary to much foreign representation – the Nilgiri plateau and its inhabitants look back on a much longer history of monetary culture and integration. I cannot deal here with the paradox rhetorical treatment and analytical neglect of the known evidence in the large body of anthropological literature. Yet, money – I am talking predominantly about ordinary coinage (i.e. gold fanams, silver rupees, copper kasus etc. ), but there were also buffalos, cloth, measures of grain and so on – has always played an important role on the plateau. It’s indeed hard to make a definite judgment regarding the scope of circulation. 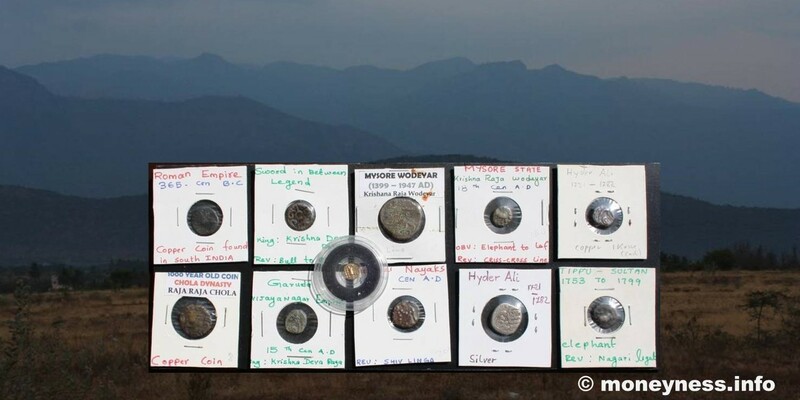 There is, however, clear evidence that the use of coinage was intimately connected with political rule, ritual status, temple worship, ethnicity and chieftainship. First of all it should be noted that the plateau was not that isolated at all. Historically it has been subject to the considerable influence of various rulers from the plains (i.e. the Ummattur Rahjas, the Vijayanagar empire, the Mysore Wodeyars, the Muslim invader Haidar Ali and his son, Tipu Sultan who was then defeated by the British and replaced with the first British collector). The plateau was strategically important and regional chieftains maintained a number of forts both on the plateau itself and in the lowlands. Migration to the plateau, particularly with regard to the various phratries of the Badagas, resonated with political developments in the plains and in fact there was frequent contact (political, ritual, social and economic) between the hill-people and lowlanders. In turn, local mythology, which often goes back to the foundation of the first local villages (at least in the case of the Badagas), mentions the payment of taxes, gifts and temple-endowments in golden coins. 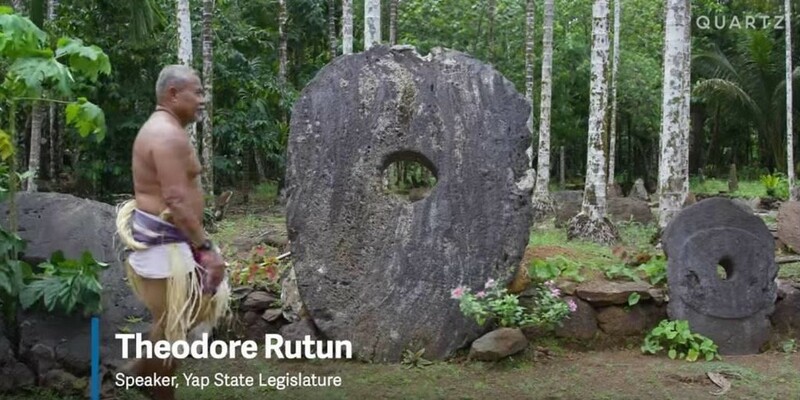 Taxation was definitely an important component of local monetary integration and resonated with the institution of temples, village authorties, the territorial divsion of the plateau into four different semai or nads and both the political, ritual and economic responsibilities of the different hill-communities. To the South and East the plateau was flanked by the two most important inland trade routes of South India. It is well known that some of the hill-people formed regular trade-parties to sell part of the hill-produce at the market-towns in the plains – some of the goods beeing highly coveted commodities that were traded far across the country. 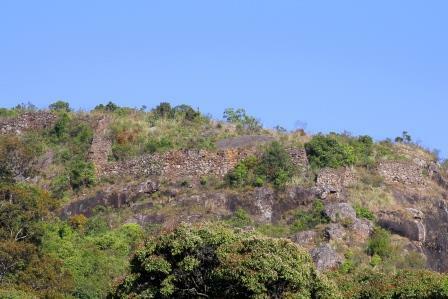 Chettiars from the plains also ascended the plateau on a regular base to trade goods with the Badagas and probably they would also provide some credit. Coinage was locally used in rituals and funerals as well as transacted as gifts along with marital and political alliances. 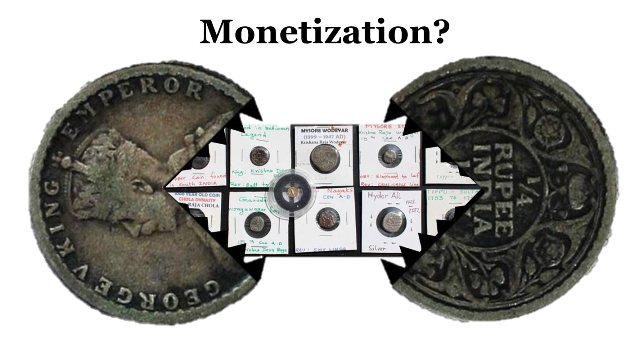 Foreign or ancient coins, in particular, were kept as ritual paraphernalia and much coinage may have been withdrawn from ordinary circulation and converted into jewellery. At the same time, trade, taxation and the circulation of coinage seem to have framed an intertribal barter-economy whose internal transactions were hereditary and in kind rather than monetary (cf. Hockings 2013, Zagarell 1994). 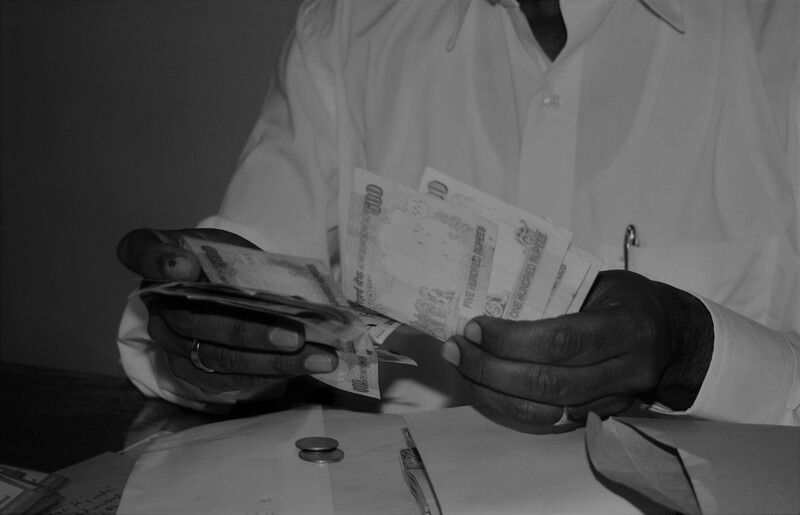 Importantly, money can but need not always perform economic functions in the first place. Particularly in medieval India there is wide-spread evidence, that the flow of money appeared abundant precisely where it marked the existence of political, social and ritual relations as well as life-cycle events, and the hierarchy, hereditary labour division and mutual responsibilities among segmented caste-society (see for example Parthasarathi 2016). From 1819 to 1947 the Nilgiris have been subject to “discovery”, followed by intense British place-making and anthropological research. Thanks to its climate and due to enormous investments the plateau quickly took shape as a British Hill-station. Henceforth it became a retreat for British soldiers, officials and travellers – and, to cite the polemic of a famous contemporary, “clergymen, priests, missionaries, tavern-keepers, school-masters, and scholars, with précieux and précieuses ridicules of all descriptions“ (Burton 1851: 296). Before long, British society developed on the plateau which soon became the noble summer seat of the Madras presidency, a major plantation centre and, not least, a hotspot for ethnographic inquiry. At the same time, British investments and European ideas transformed the landscape and altered the local economy. Money thus paid for new British roads that “opened up” the plateau to the outside world – as if they were not following the numerous well-trodden foot-paths that had existed for centuries. It paid for the construction of houses, churches, hospitals, race-courts, schools, libraries and courthouses. It paid or the pleasures of riding, roaming and hunting. It cleared forests, established plantation estates and new marketing facilities. It paid for land and land titles, for local labour, produce and information. It even rewarded native parents for sending their children to the missionary schools (…). In short, money paid for European place-making, for its culture, markets, values and livelihoods. And of course it also paid for all the research that was henceforth conducted and for all the knowledge produced from a region of which Hockings notes, that one could “literally paper the district” with the related publications (Hockings 1989: vi). There is thus no denying that Europeans had a tremendous impact. However, with regard to India at large the so-called ‘introduction’ of a monetary economy was in principle just the appropriation of local bullion (largely in the form of coinage) re-coined with the counterfeits and insignia of new emperors, and increasingly used and spent in order to serve the needs and the desires of an imperial power. There were perhaps regions in pre-colonial India where the use of money was altogether not widespread. 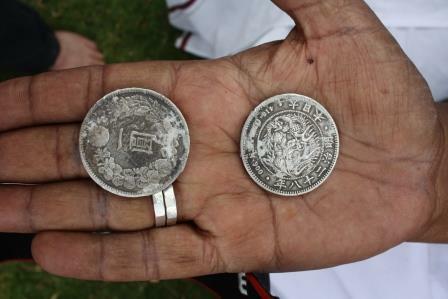 Yet what gradually distinguished Europeans from Indians around the 19th century was certainly not the relevance of money as such, but the consolidation of control over money (including law and taxation, right of coinage, ideology, global trade- and purchase power). Things were slightly different in other regions of the world where colonial coinage replaced unlike currencies such as shells, necklaces, stone blades and other valuables, but basically that’s how the “monetary economy” became the epitome of both a western-led global modernity and a very particular market-centred view of human life. “The Todas, as a class, are much spoiled, so much that nobody nowadays can go to see them without paying a douceur, which, if not gratuitously offered, is sure to be asked for and expected as a right; nor are they so unsophisticated and unreserved in their colloquial circumstances with strangers as they were at one time, and for which they were remarkable” (Short 1868: v). Deborah Sutton, author of the book “Other Landscapes: Colonialism and the Predicament of Authority in Nineteenth-Century South India“, comes straight to the point when she writes: “Encounters with the primitive were desirable precisely because they appeared to take place in a space free from the presence of either the market or the state. Before too long the instability of these encounters necessitated their replacement with less compromising encounters: carefully staged performance; the scientific order of the museum; or the vicarious pleasures of the text” (2009: 225). No need to say that western anthropologists – hostile as they often were (with at least some good reasons) to the experience, politics and theories of capitalism at home – are guilty of having exaggerated in retrospect and not uncommonly against known evidence (!) the picture and contrast of what they determined to interpret as nonmonetary (i.e. “traditional” or even “primitive”) societies. 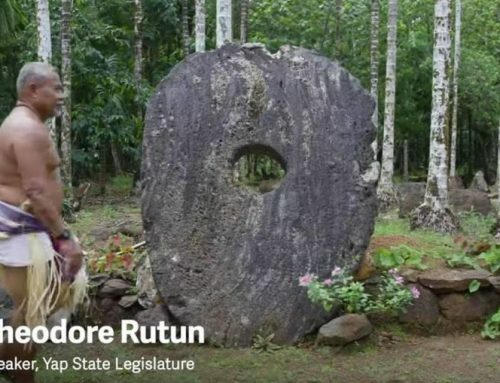 “[W]e heard of a gentleman who, when walking near one of the villages, saw some roughly rounded stones lying upon the ground, and asked a Toda what their use might be. The savage replied extempore, that the biggest piece was, according to his creed, the grandfather of the gods; another was the grandmother, and so on to a great length. He received a rupee for the intelligence given; and well he won it. The stones were those used by the young men of the hamlet for ʻputtingʼ in their leisure hours – a slender foundation, indeed, to support so grand a superstructure of traditional lore!” (Burton 1851: 316). Well, that may just be another reason why many anthropologists dont’t like money! 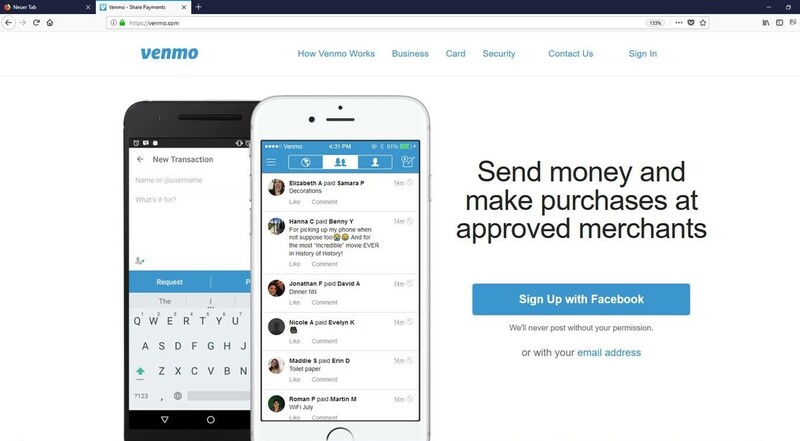 Monetization is an ongoing (social) process! For some time, monetization seemed to provide a universal explanation for the changes and contrasts that were doubtless triggered by the rule, the presence, ideas, activities, needs and investments of Europeans. 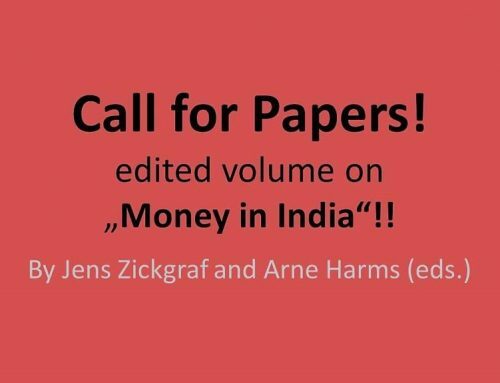 Yet, the notion of a former tribal enclave devoid of money, markets and the state – worth studying because of its ‘uniqueness’ – rested conceptually on false assumptions. Money has played an important role to establish European presence on the plateau. But the ensuing ‘contrast of appearances’ also came with the social and cultural “poetics” (Herzfeld 2005; Clifford 1986: 16-17) that led to the “de-monetization” of the plateau’s remembered past, the neglect of money’s local functions as well as the neglect of how the agencies of both the colonizers and the colonized were involved. A lasting consequence of such sinister misconception was that after decolonization and with the rise of global capitalism money itself appeared to be the colonizing agent, the Trojan horse of an impersonal market economy, a universal excuse for lasting global inequality, and the antithesis of all society, culture and tradition. Yet such conceptions not only failed to account for the multiplicity of money, monetary history and monetary culture, but also fostered the tale of money’s “intrinsic power” and veiled money’s capacity for re-invention. As to that the Nilgiris and the fiction of a non-monetary tribal enclave are just a case in point, but a particularly strong one, since “it is no exaggeration to assert that the Nilgiris district has been more closely and thoroughly studied by more anthropologists, throughout the entire history of their discipline, than any other district in Southern Asia” (Hockings 2012: 29). Of course one cannot straightly compare a remembered past with the present and least an unknown future. 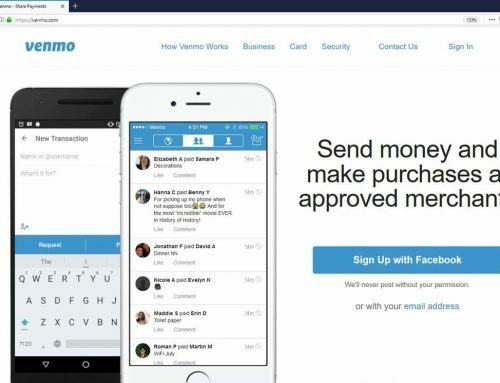 Monetization is an ongoing process – and it is one that draws people and livelihoods all over the world into ever more intense contact and interdependency. No doubt, the uses, scopes, values and even kinds of money were different in earlier times. 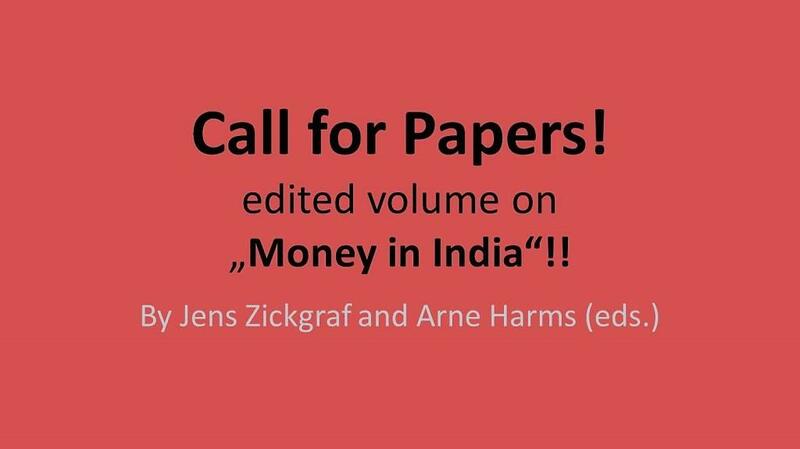 Yet fanams, British- and Indian rupees, dollars, euros and euro-dollars all tend to produce their own kind of ontologies, tales and relations. 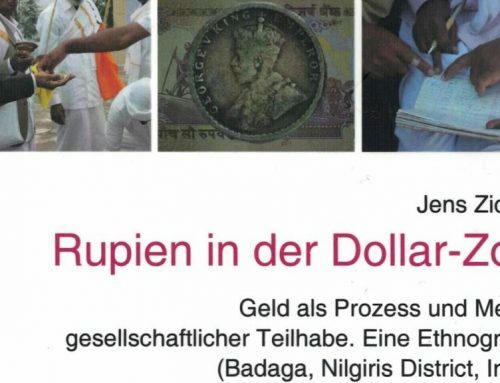 There is thus much to explore when it comes to “Rupees in the Dollar Zone“, and while the plateau’s ancient monetary culture has long been neglected, the latter remains in many respects omnipresent in contemporary monetary and financial landscapes. Burton, Richard. F. 1851. Goa, and the Blue Mountains: or Six Months of Sick Leave. London, Richard Bentley. Clifford, James. 1986. “Introduction: Partial Truths.” In: James Clifford und George E. Marcus (eds.) Writing Culture. The Poetics and Politics of Ethnography. Berkeley, University of California Press. Grigg, H. B. (ed.). 1880. A Manual of The Nílagiri District in the Madras Presidency. Madras, The Government Press. Herzfeld, Michael. 2005. Cultural Intimacy: Social Poetics in the Nation-State. New York and London: Routledge. Hockings, Paul. 1989. Blue Mountains: The Ethnography and Biogeography of a South Indian Region. Delhi, Oxford University Press. Hockings, Paul. 2012. Encyclopaedia of the Nilgiri Hills. Part 1, New Delhi, Manohar. Mahias, Marie-Claude. 1997. “The Construction of the Nilgiris as a ʻTribal Sanctuary’.” In: Paul Hockings (ed. ), Blue Mountains Revisited: Cultural Studies on the Nilgiri Hills, Delhi, Oxford University Press, pp. 316-334. Parthasarathi, Prasannan. 2016. 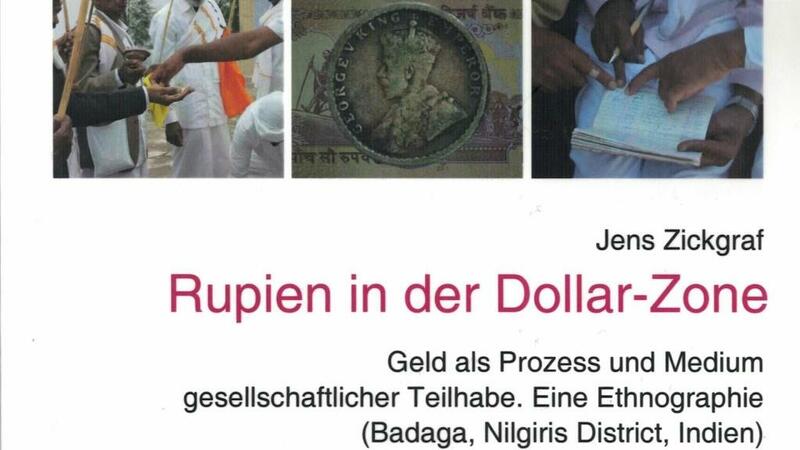 “Money and ritual in eighteenth-century South India.” The Medieval History Journal 19 (1): 1–20. Rivers, W. H. R. 1906. The Todas. London, Macmillan. Short, John. 1868. “An Account of the Tribes on the Neilgherries.” In: J. Short (ed. ), An Account of the Tribes on the Neilgherries by J.Short, and a Geographical and Statistical Memoir of the Neilgherry Mountains by the Late Colonel Ouchterlony, Madras: Higginbotham, pp. V-VIII. Sutton, Deborah. 2009. Other Landscapes: Colonialism and the Predicament of Authority in Nineteenth-Century South India. Copenhagen, NIAS. Zagarell, Allen. 1994. “State and Community in the Nilgiri Mountains.” Michigan Academician XXVI (1): 183-204.